Last year I wrote a very enjoyable blog about the Eagles Super Bowl rings. Unfortunately I won't have that pleasure this year. But around here we are fond of saying "Next year!" This Sunday the New England Patriots have their eyes on a sixth Super Bowl ring after beating the Kansas City Chiefs in a thrilling (and controversial) AFC Championship game on Sunday. If quarterback Tom Brady and the favored Patriots prevail against the powerful Los Angeles Rams at Super Bowl LIII in Atlanta on February 3, you can bet the 41 year old quarterback and his teammates will be rewarded with the biggest and blingiest championship rings ever created. 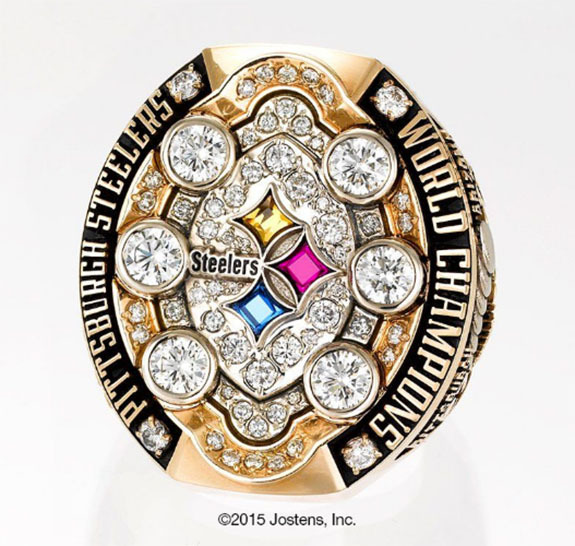 The National Football League maintains an unwritten rule that allows the teams with multiple Super Bowl victories to design the most extravagant rings. 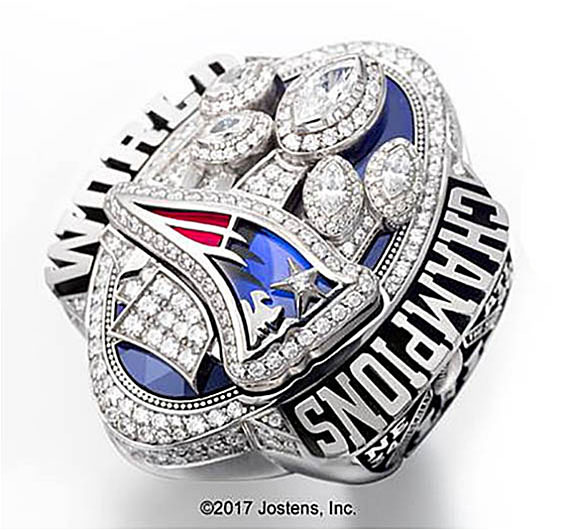 Two years ago, when the Patriots captured their fifth Vince Lombardi trophy with a wild come from behind victory over the Atlanta Falcons, the team was rewarded with massive rings gleaming with 283 diamonds weighing a total of 5.1 carats. The Pats had a chance to win their sixth Lombardi Trophy in 2018, but were thwarted by the Philadelphia Eagles (YES!!!!!) 41-33 in Super Bowl LII. Even so, the Patriots' 2017 Super Bowl LI rings continue to set the record for championship ring bling.